BeYouTiful. Be You. Beautiful! This is a versatile product, and can be applied as shown, or can be placed edge to edge, instead! Our wall decals are ideal for bedrooms, offices, living rooms, entryways, classrooms, even your car, bathtub or glass shower doors! 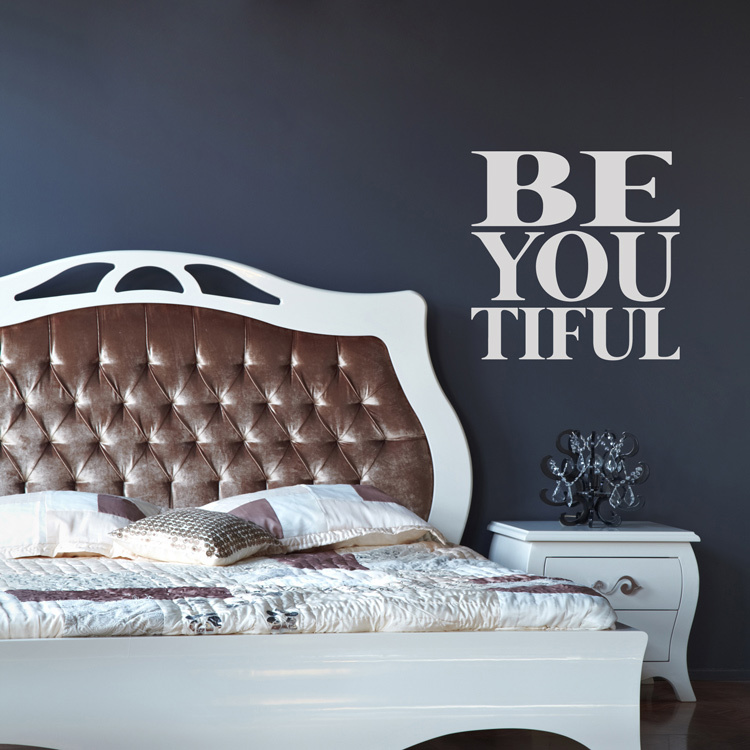 Our Be You Tiful quote decal measures 22 inches wide by 22 inches high, as shown. This Be You Tiful quote wall decal comes on one sheet, ready to apply, but can be cut apart to achieve the staggered look, as well.